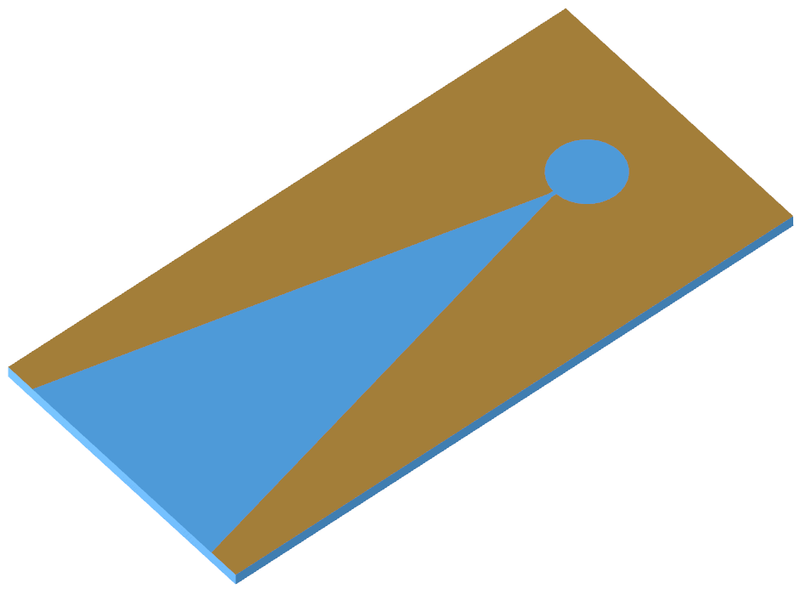 Image of the Microstrip-fed Linear tapered slot antenna. The Linear Tapered Slot Antenna (LTSA) forms part of a group of antennas called end-fire tapered slot antennas (TSAs). End-fire tapered slot antennas include the constant width (CWSA), linearly tapered (LTSA) and the exponentially tapered (ETSA), also known as a Vivaldi antenna. 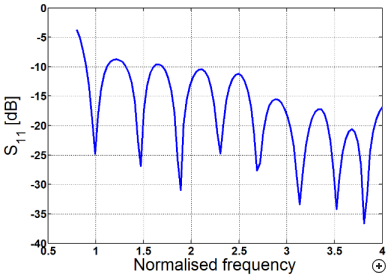 Performance characteristics of TSAs include: Wideband, medium gain and low sidelobes. The microstrip-fed LTSA uses a microstrip to slotline feed, commonly used when the antenna is manufactured on a dielectric substrate. 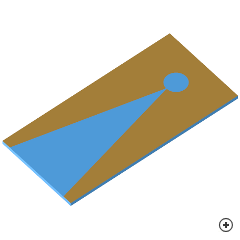 A microstrip to slotline transition is realised by etching the slotline on one side of the substrate, which is crossed at a right angle by a microstrip line on the opposite side of the substrate. The microstrip line is flared to form a radial stub which acts as a wideband, virtual short circuit at the microstrip-slotline intersection. The slotline is extended into a circular cavity to act as a wideband, virtual open circuit. 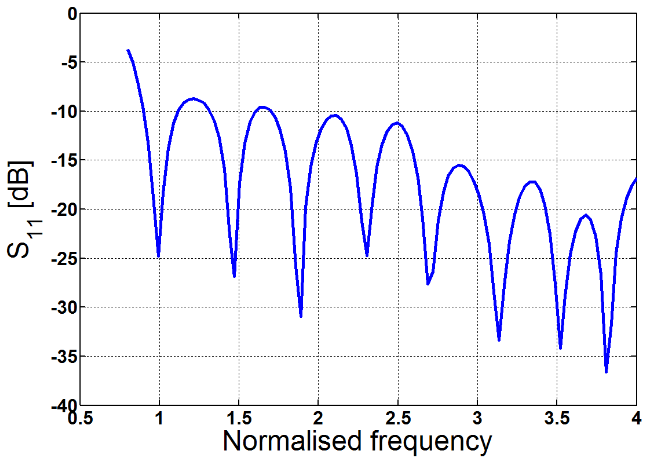 The advantage of this feed method is that both the antenna and its feed (which may also include an impedance matching section) can be etched onto a single substrate.